Can’t decide on your favorite flavor? 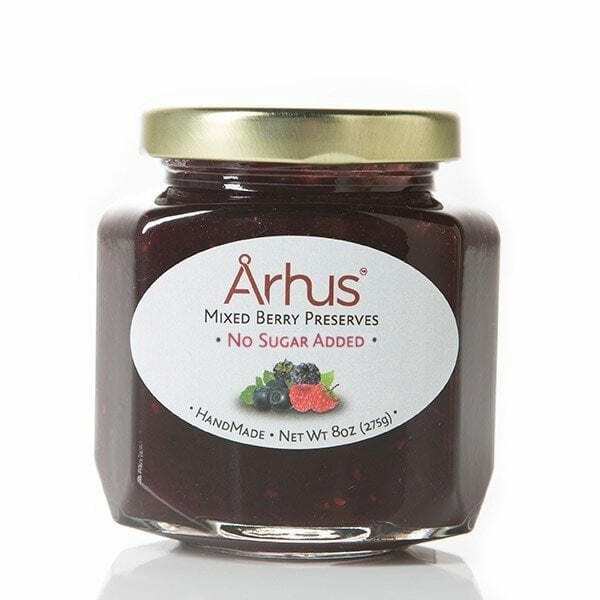 Our mixed berry preserves are a no brainer! Try upgrading your next dessert by swirling a spoonful into vanilla ice cream. Arhus mixed berry preserves with no sugars are handmade with blackberries, blueberries, raspberries and birch xylitol. They are smooth enough to easily spread, and thick enough to eat by the spoonful! Strawberry preserves are an American classic, and our customers can’t get enough of ours! Try adding a spoonful to pancakes or waffles for an easy breakfast upgrade. Arhus strawberry preserves with no added sugars are handmade with fresh strawberries and birch xylitol. They are smooth enough to easily spread, and thick enough to eat by the spoonful! Blueberry preserves are our best-selling product, and after one taste you’ll know why! Try swirling a spoonful into your greek yogurt or oatmeal for a healthy breakfast treat. 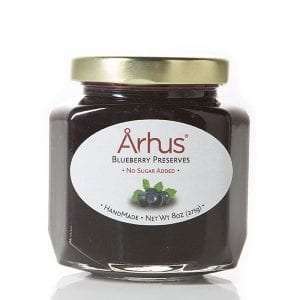 Arhus blueberry preserves with no added sugars are handmade with fresh blueberries and birch xylitol. They are smooth enough to easily spread, and thick enough to eat by the spoonful! Arhus Peach preserves with no added sugars are handmade with fresh picked peach and birch xylitol. 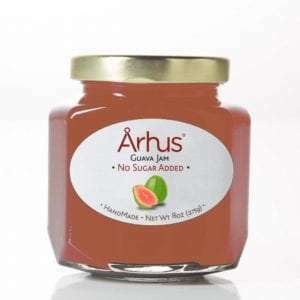 Arhus Guava preserves with no added sugars are handmade with fresh picked pink guavas and birch xylitol. Add it to greek yoghurt and granola for a satisfying parfait. Also is a great spread on toast, on crackers with cheese, on fresh baked breads, bagels and muffins. This guava preserve has its own unique taste and once you have tried it you will be wanting more.